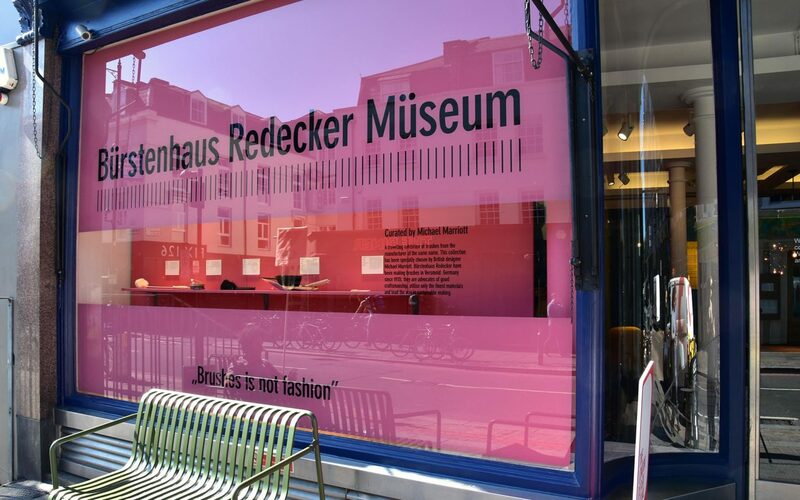 Due to popular demand, the Bürstenhaus Redecker Müseum is open for an extra week at SCP. 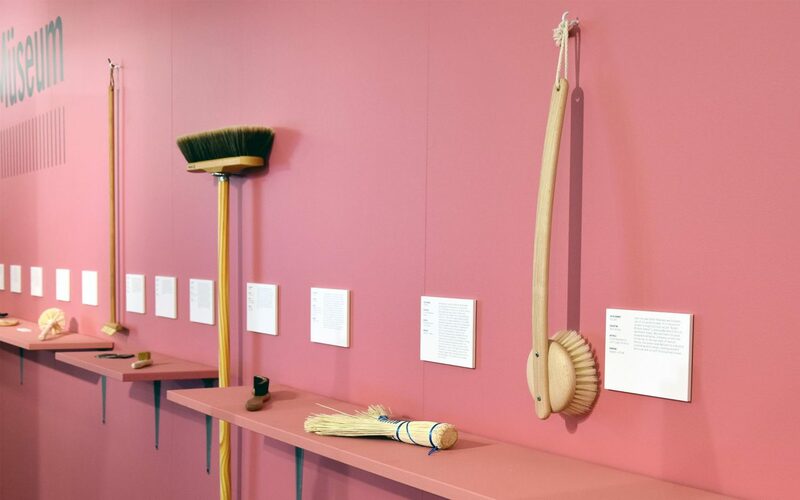 So step inside and discover a curious world where brooms, brushes and combs take centre stage. 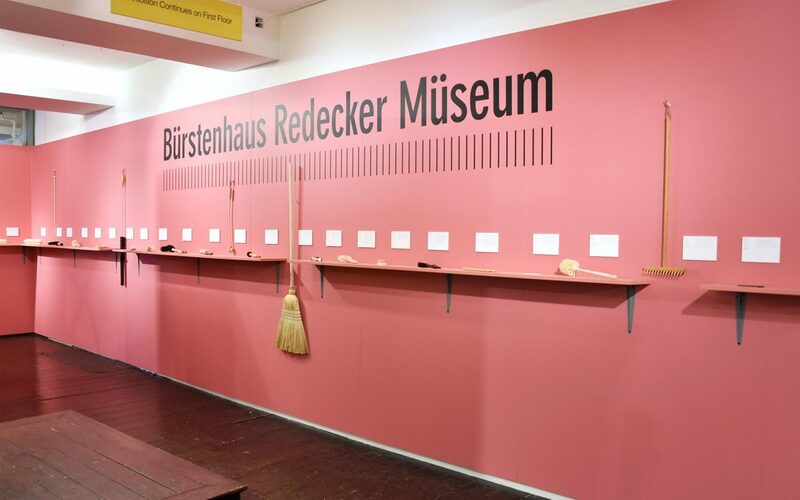 Curated by Michael Marriott, the Bürstenhaus Redecker Müseum is a travelling exhibition of brushes from the manufacturer of the same name. 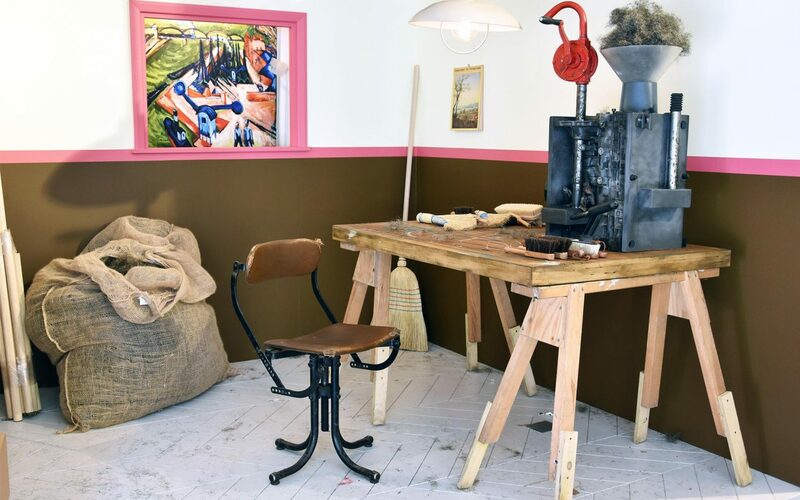 Combining the German brand’s dedication to fine craftmanship with Marriott’s playful yet considered curatorial prowess. 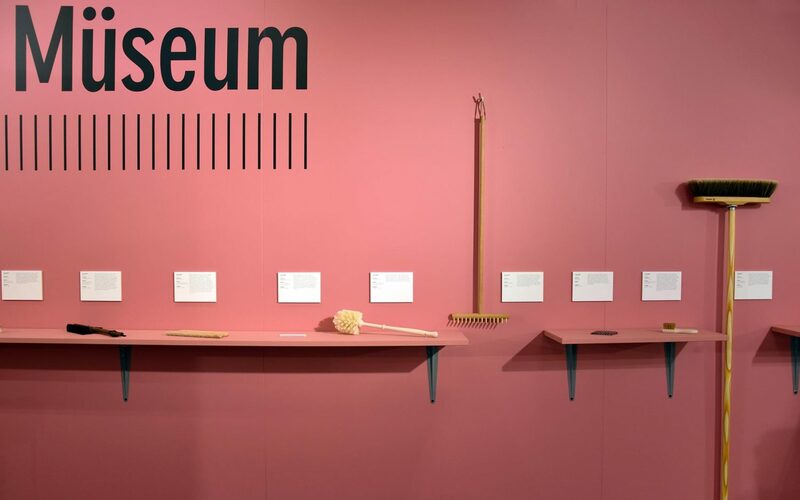 The result is a Müseum that bristles with energy and sweeps aside any doubt about the significance of brushes in modern design culture. 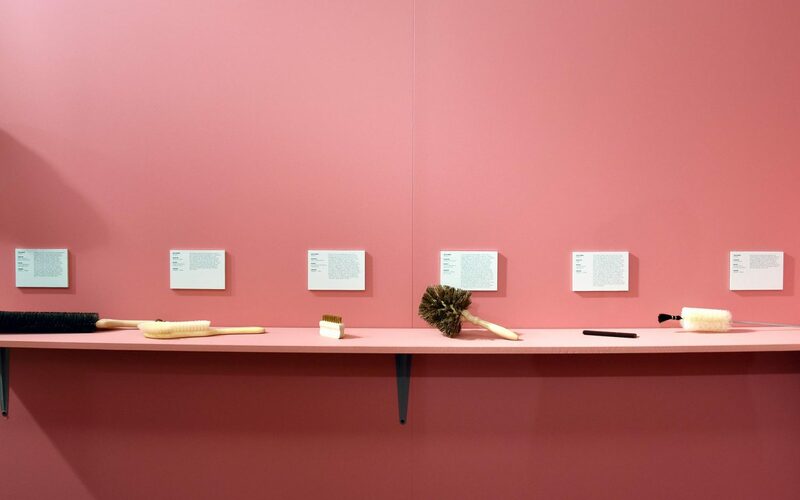 Explore the full show at SCP, now extended until 30 September. 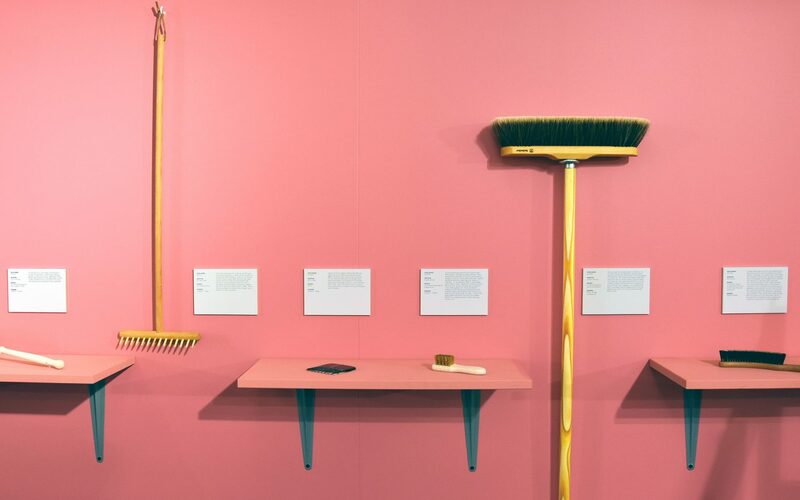 Part of A World Of Ordinary Things, for the London Design Festival 2018. This wine-glass-brush, or versions of it were often used by motor mechanics to clean the pistons and cylinders of car engines. This activity was noticed by a young mechanical genius, Felix Wankel, who thought it ridiculous to need such a contrived looking object, and set about to invent an engine that could be kept clean with any sort of ‘normal shaped’ brush. His solution was “a new type of engine; half turbine, half reciprocating”. It became known as the Wankel engine and was taken up by auto manufacturers NSU, whose Ro80 model used a Wankel engine. It was the car he owned himself too, but never drove, as his eye sight was not adequate to achieve a driving licence. 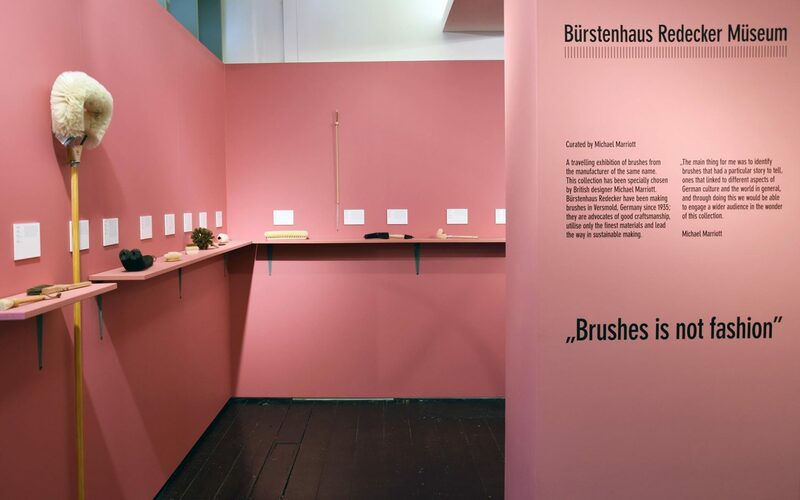 The most preferred book brush of German sociologist and philosopher Jürgen Habermas. Associated with the Frankfurt School, he is the author of dozens of absolutely key and “un-put-down-able” texts such as ‘The Theory of Communicative Action, Vol 1: Reason & the Rationalisation of Society’ and ‘Between Facts & Norms: Contributions to a Discourse Theory of Law & Democracy’. Designed as a tool for cleaning decanters, but in Bavaria used just as much for brushing up a limp gamsbart. A gamsbart is a decorative tuft of hair worn on mens ‘trachen’ hats, the size and diameter of the gamsbart are signs of the wearer’s pride and manliness. The literal translation is ‘chamois beard’, as the hair should come exclusively from the lower neck of the chamois goat. This brush allows the wearer to easily tweak the gamsbart, keeping it upwards pointing, whilst wearing the hat in front of a mirror. 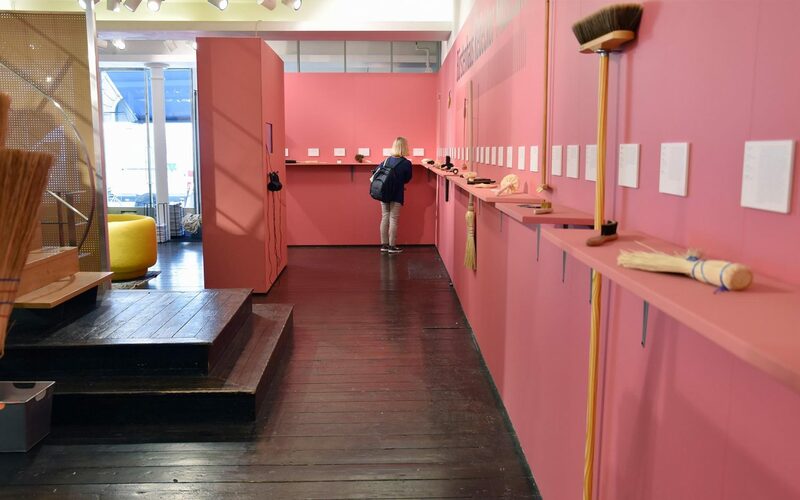 Visit the Müseum at SCP and view the full collection of 45 brushes, as part of A World Of Ordinary Things, during the London Design Festival.